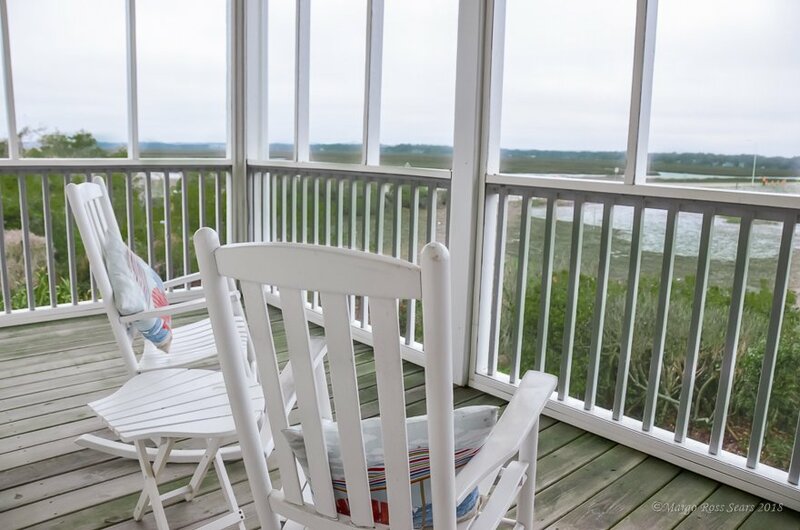 The Old Baldy Room was named after the Old Baldy Lighthouse which retains its importance today as one of the oldest historic structures in North Carolina. 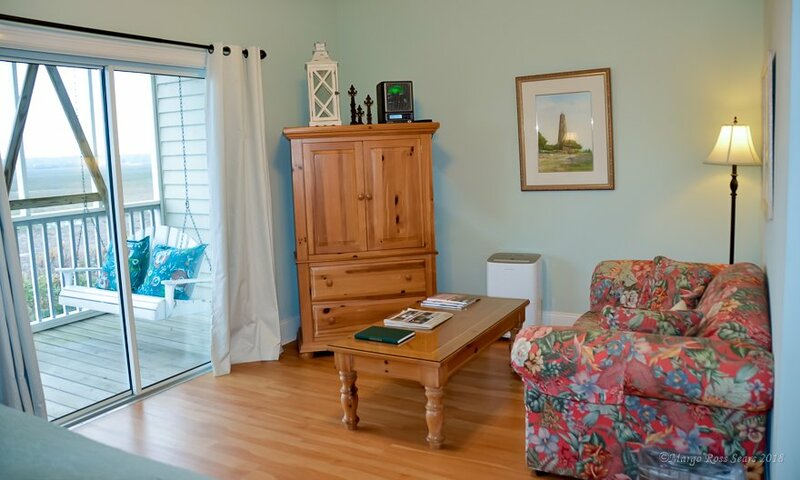 Pictures, books and memorabilia from the enchanting Bald Head Island are displayed in this large corner room. The soft green walls are instantly inviting, but the porch views from this lobby level grand room are amazing. 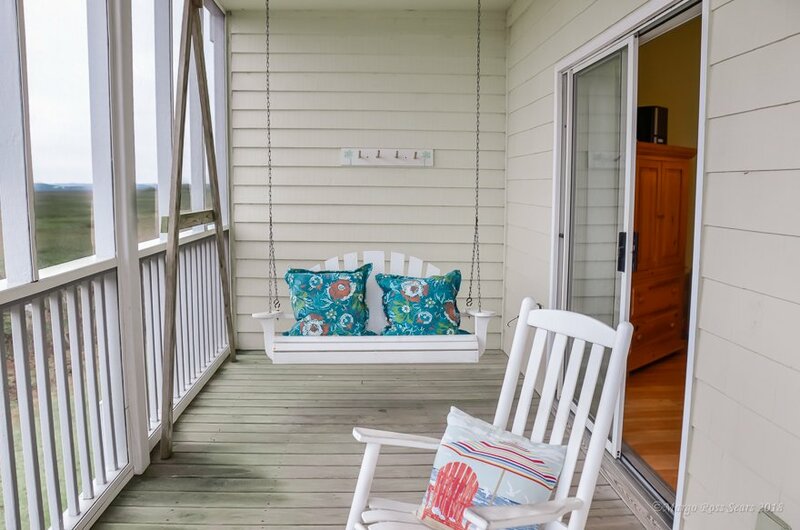 Bald Head Island, which is only accessed by boat, is a wonderful place to escape from day to day battles. 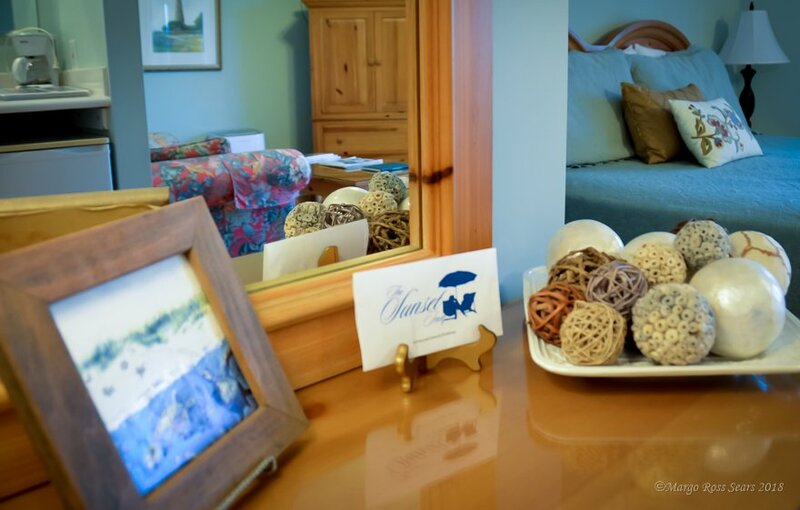 Let The Old Baldy Room do the same for you by bringing peace & tranquility to your stay. 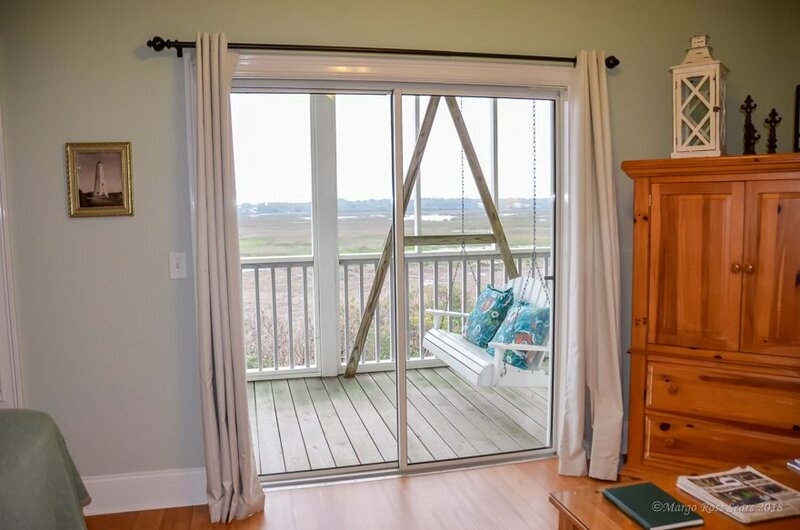 This grand room has a larger private screened porch, including a porch swing, rockers, & amazing views. 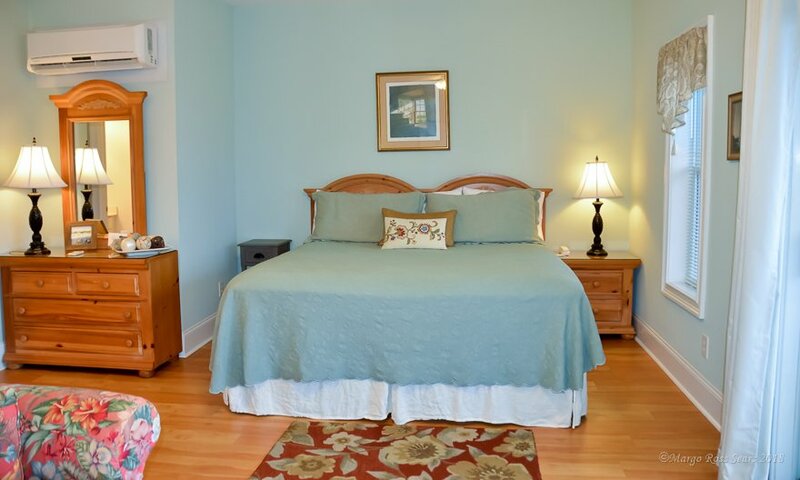 This is a Grand room, which is more spacious than the standard room in our Hotel in Sunset Beach NC. 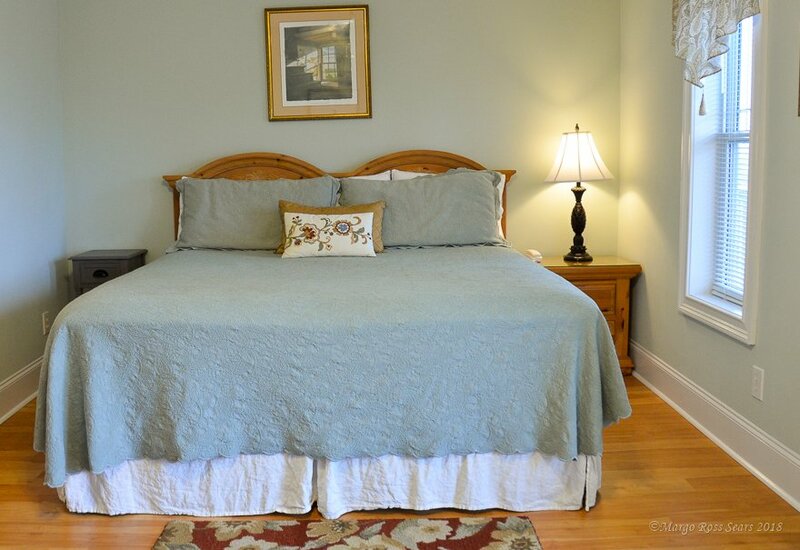 It has a larger corner porch and a jetted whirlpool tub. This is a two person tub in the bathroom with a separate shower. Robes are also provided.